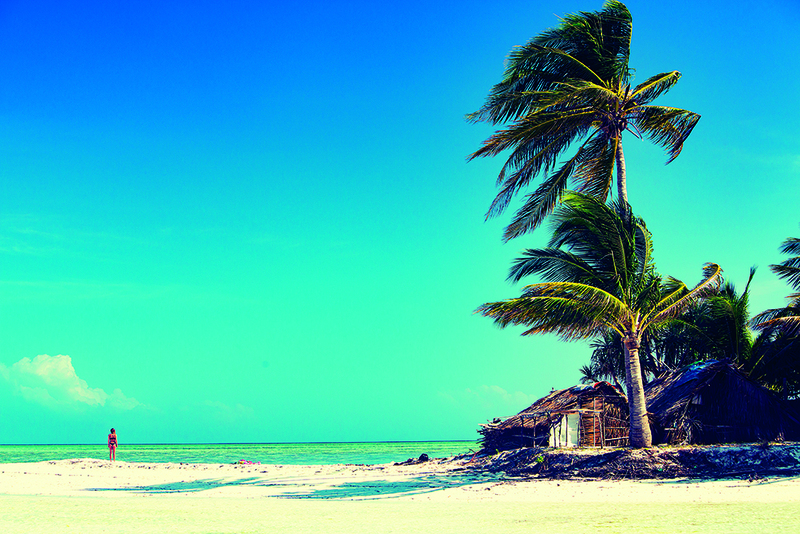 Wakatobi is best known as one of the world’s premier diving and snorkelling destinations. Only recently has it appeared on the radar of the kiting community. But the word is now out, and a growing number of riders are adding this destination to their bucket list. The attractions are warm, clear water, steady seasonal trade winds, spectacular scenery and a first-class resort, all coming together to create what some are now calling a kiter’s paradise. The resort property is located on a small island in south east Sulawesi, Indonesia, 1000km east of Bali. The setting is postcard perfect, with traditionally-styled beach bungalows and waterfront villas nestled into a palm grove overlooking a white sand beach and a pristine coral reef. Before the founders of Wakatobi built a private runway on nearby Tomia Island, it took two days or more of travel to reach the resort from Bali. Now, private charter flights get you there in less than three hours. When you arrive at Wakatobi, you are definitely away from it all, but should you need to get in touch with the outside world, you can tap into the resort’s internet connection and cellular network. What started out as a diver’s outpost, with a single longhouse-style lodge, has evolved into a resort that epitomises the concept of ‘barefoot’ luxury. The oceanfront dining room and outdoor patio serves gourmet meals, there is an on-site spa and the staff combines the genuine warmth and hospitality of their island culture with a five-star service ethos. In short, guests want for nothing. But idle relaxation isn’t the theme, as most guests come to dive, snorkel and enjoy a range of water sports that now includes incredible kiting. 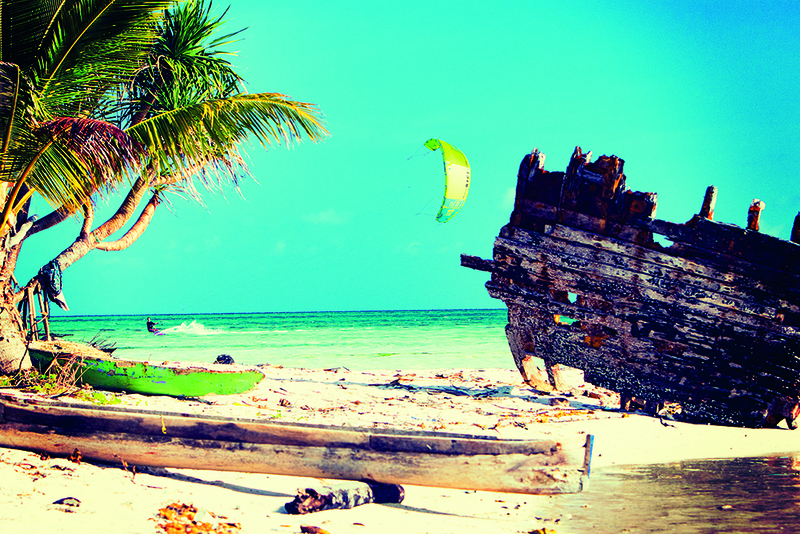 Kiting season at Wakatobi begins with the arrival of the easterly trades in May, and continues through September. June, July, and August are prime months, with steady winds in the 15-25 knot range. The resort’s beach sits inside a sheltered reef line that wraps around a west-facing point. To the east, a 3km long lagoon is ideal for flat water speed runs. Just around the point, the resort’s main west-facing beach provides easy conditions for shore launches, with plenty of flat water for cross-wind runs. This is the site of Wakatobi’s kiting centre, and it is an ideal location for novice and advancing riders looking to master the basics. Experienced riders can move outside the reef into the blue water channel that runs between the island and offshore coral plateau. Conditions in the channel range from near shore chop to waist-high waves farther out. In addition to the kite centre, which offers instruction and gear rental, Wakatobi provides support that not only includes shore monitoring, but also a fleet of chase boats. These boats stand ready to pick up riders stranded downwind, but they are also used as taxi boats to ferry riders to upwind locations, including other islands. 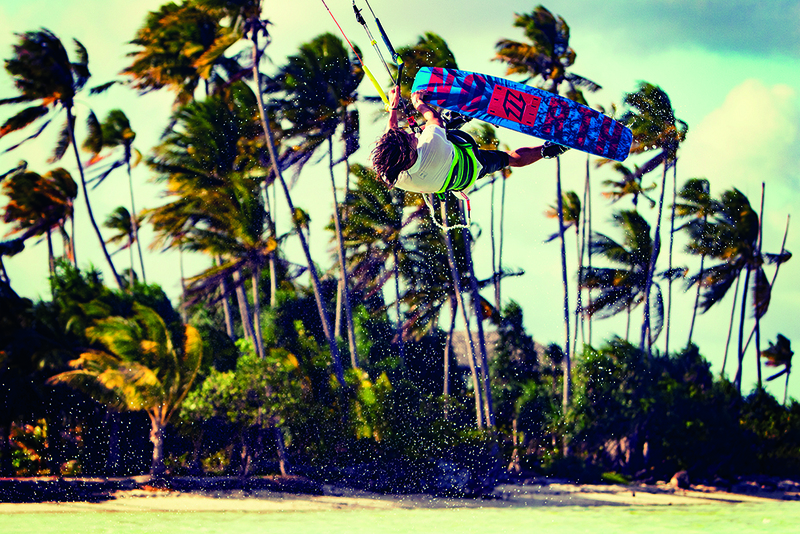 This creates the opportunity for long downwind runs and even all-day hops between islands. And as the kiting scene at Wakatobi continues to evolve, riders continue to venture farther afield on exploratory trips that are revealing an ever-widening range of conditions. The resort also provides loaner radios and GSM phones for downwinders. Wakatobi is considered one of the best places in the world for diving and snorkelling, and the site known as the Wakatobi House Reef has been named the world’s best shore dive. Given that reputation, it’s not surprising that many guests are here to go underwater. It’s easy to combine kiting and diving or snorkelling, as the resort runs trips to nearby reefs three times a day aboard a fleet of large, custom launches. The House Reef is also just steps from the beach; a few fin kicks and you’re floating over a prolific shallow coral reef. Venture a little further and you can watch the reef tersely drop away into a vertical coral wall for an exploration that can go north or south for miles. The resort’s full-service dive centre offers rental equipment, instruction and even private guide services. Guest can also explore the coast by kayak, enjoy a range of beach activities, hike the Onemobaa Nature Trail or dry off and enjoy a relaxing spa treatment. Island tours and Indonesian cooking classes provide an opportunity to get immersed in local culture, or you could just stake out a hammock and enjoy a good read. In the evening, the place to be is the Jetty Bar, which sits overlooking the edge of the House Reef wall, with spectacular sunset views. Wakatobi Dive Resort is located in south east Sulawesi, Indonesia, and is reached by private charter flight originating in Bali. Wakatobi provides concierge service for guests travelling through Bali. Their team handles all details of arrival and transfer, and can also create overnight or multi-day itineraries for layovers in Bali. Flights to Wakatobi are aboard Garuda Indonesia’s 70-seat turboprop aircraft, and baggage allowances are generous. A big plus: while you can use the kiting gear at the resort, you’re welcome to – within reason – bring any gear you desire, no questions asked! Visitors must have a valid passport of six months past arrival date and at least one totally clear page for customs and immigration. For nationals of the 90 countries it is possible to enter Indonesia as a tourist, and remain for up to 30 days, without the need to purchase a visa, through the visa waiver process. 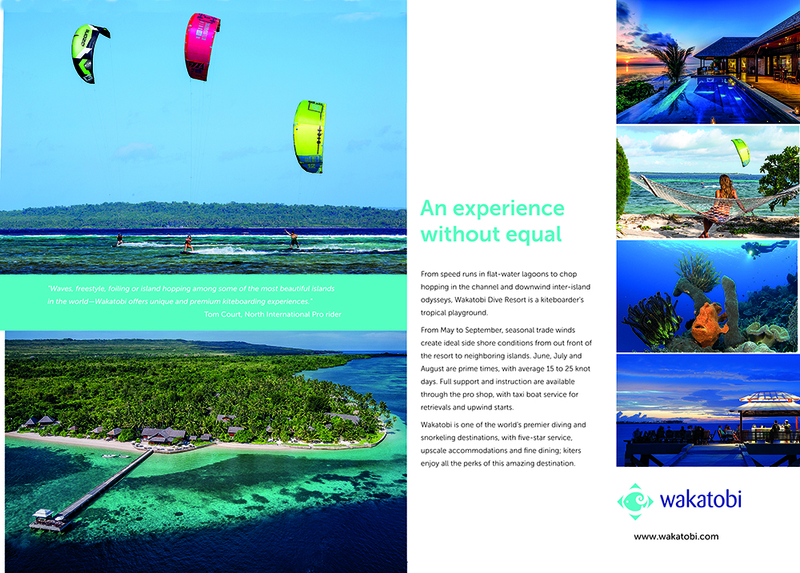 Please visit www.wakatobi.com and click on FAQs for details. From November to March, Wakatobi will often experience moderate to stronger westerly winds, but these are not as reliable as the easterly trade winds that blow from May to September. June, July, and August provide the best kiting conditions, and a highlight of the season is the resort’s annual Kite Week, which will take place 20-27 June, 2016. > Contact Wakatobi’s administrative offices at office@wakatobi.com.